Coach Brad Harper took 14 varsity wrestlers to Lake Central on Saturday for the Lake Central Harvest Classic, a prestigious, early season tournament that brings the number 1, 5, 6, and 12th ranked teams respectively along with 12 other teams. Many ranked wrestlers made the journey to Lake Central Saturday. 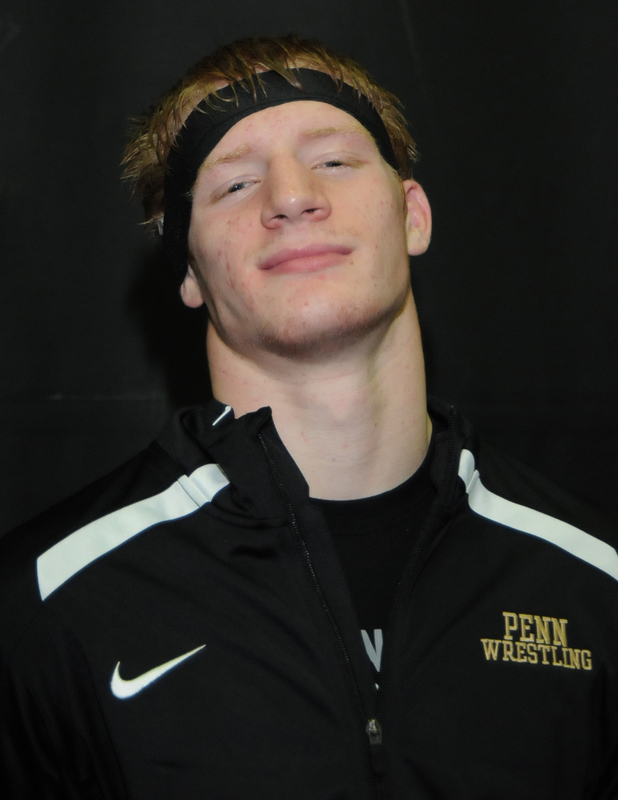 In a tough field, Penn had four finalists, including Evan Light at 106, Kory Cavanaugh at 113, Jeffrey Harper at 126, and Jarod Swank at 170. Swank, pictured above, won the championship at 170 pounds. Light, Cavanaugh, and Harper each finished second. Tanner DeMien placed third at 120, and Preston Risner placed fourth at 138. Trace Manspeaker placed fifth at 145, Jacob Suski got sixth at 160, and Chris Momotiuk placed eighth at 182. The Kingsmen finished 3rd overall in the team race. The wrestling team is in action at home on Wednesday, Dec. 7 against South Bend Riley.